When you have heavy-duty work, you need a heavy-duty scraper. The Garfield Heavy-Duty Drag Scraper is designed to move massive amounts of material, with high hp tractors. This scraper is built to handle the toughest conditions, with a 3/8” moldboard, reinforced tongue, and dual wheels, this machine will take the abuse. The large capacity box allows you to move a massive amount of material. The walking beam axle option allows a smoother finish at higher operating speeds. 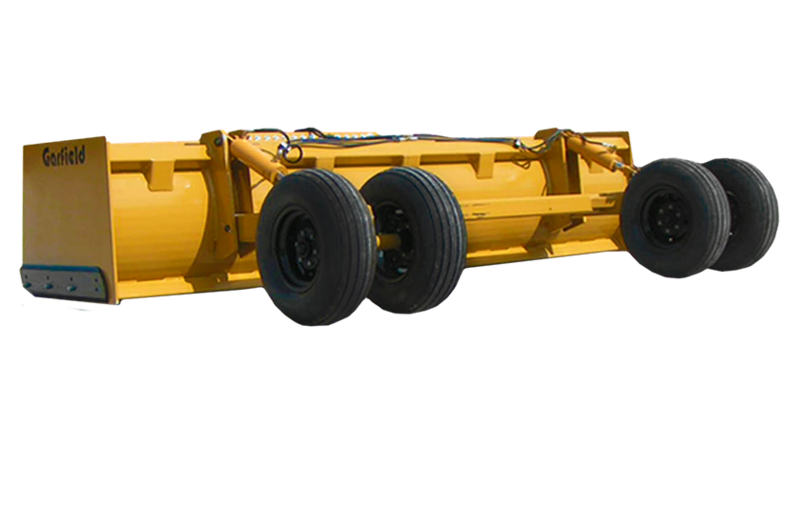 The Garfield Heavy-Duty Drag Scraper is available in 4 widths from 10’ to 16’. All widths are available with tilt, and walking beam axles. 500 W. Southgate, Enid,OK 73701.